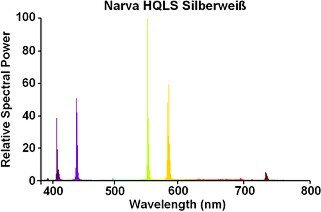 A spectral scan of this Silberweiß lamp reveals that there is no substantial phosphor radiation at all. 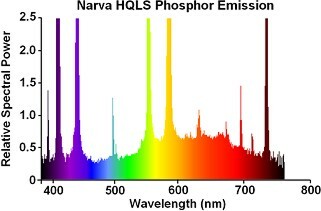 However when zooming in on the lower end of this scale it is evident that some phosphor emission is indeed present. There is a broad orange emission centred around 600nm, and a broad blue radiation centred around 450nm. This is characteristic of a fluorescent coating consisting of either calcium or strontium orthophosphate activated by divalent tin. However the phosphor intensity is very low, compared for instance with a Westinghouse lamp employing this phosphor. 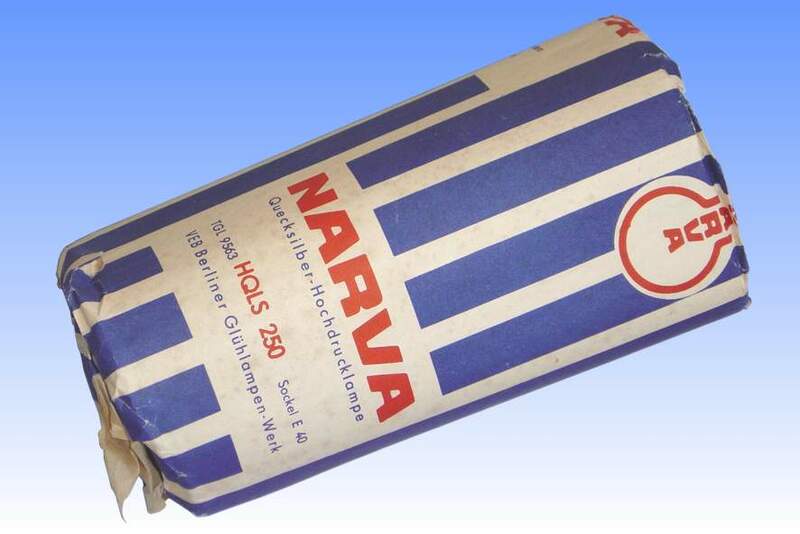 It is also possible that a simple calcium halophosphate coating has been applied by Narva. This would have a similarly broad emission and on account of its inefficiency when stimulated by the high pressure discharge, would account for the low intensity. The red ratio of this lamp is a mere 3.3%. Narva's Goldweiß HQLG is a lamp employing the standard magnesium fluoro-germanate phosphor of that era, having a better degree of colour correction with a red ratio approx. 6. The Deluxeweiß HQLD version marked the introduction of the modern europium activated yttrium vanadate, having an improved red ratio of 10%. 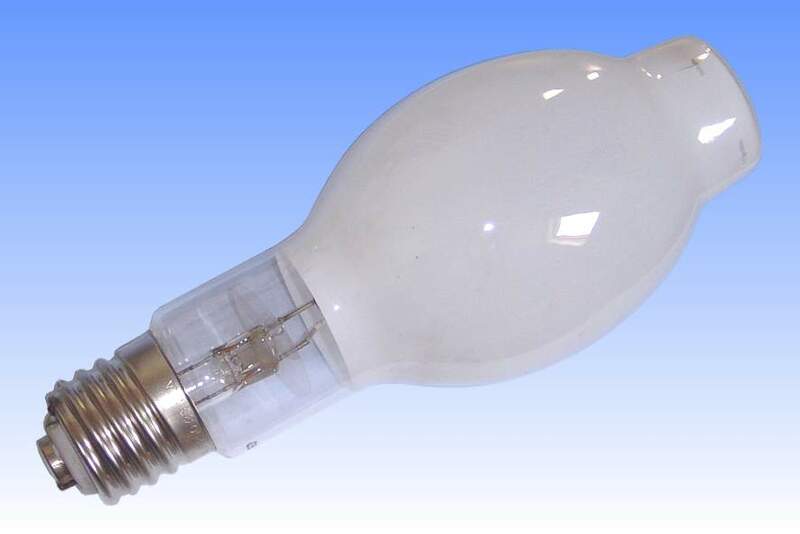 All three lamps were superseded in the mid 1970s by Narva's new generation of Naviflux products, under the NF name, which employ the standard yttrium vanadate type coating.